There are two ways to begin your membership today! Use the form below to start a membership with the Hospice Lottery. 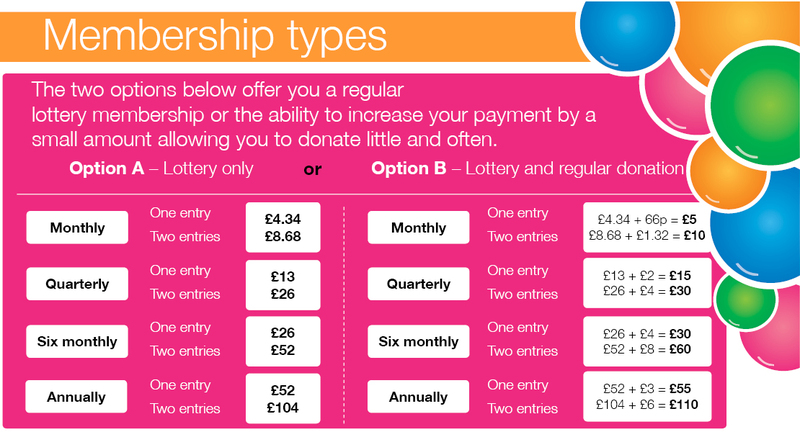 Please click here to download the Lottery direct debit form. You need to be 18 or over to pay or play any of St Nicholas Hospice Care's prize lead fundraising. We must be able to keep you informed of important updates and information regarding the Lottery, so we will use your email address to contact you. Please provide accurate details when registering. Would you like to receive the Lottery results via email? St Nicholas Hospice Care organises many types of events and services. Can we contact you about these? In order to promote the Hospice Lottery, can we approach you (if you win) to arrange an interview/chat? How did you hear about the St Nicholas Hospice Care Lottery?